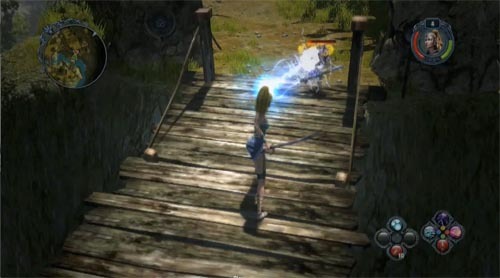 CDV has released a new trailer for the Xbox 360 version of the four player co-op RPG Sacred 2: Fallen Angel. While there's no co-op to be had in the trailer you can get a taste of two of the game's classes; the High Elf and the Temple Guardian. The High Elf class showcases lots of magic spells while the Temple Guardian is a bio-mech character. Sacred 2: Fallen Angel hits the Xbox 360 and PlayStation 3 next month on May 12th. Both versions features drop-in/drop-out co-op support for up to four players both offline and online. Be sure to check out our review of the PC version of the game. Page created in 0.5179 seconds.